Tweak HDRI Map and Where to Find Them! 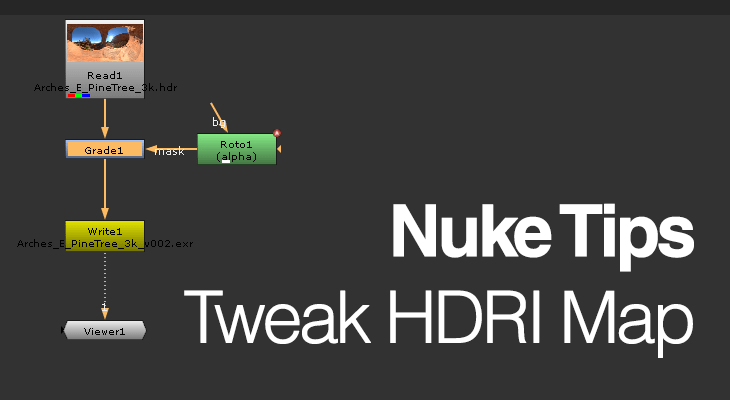 This Nuke/insertprogramthatcaneditHDRI Tips will be a rather short tutorial that focuses on how to tweak HDRI map in Nuke for use in rendering. I’m using Vray but any renderer that supports IBL (image-based lighting) should work too like Octane, Corona, Arnold and etc. No idea if UE4 (Unreal Engine 4) own IBL system behaves similarly but let me know in the comment (if I haven’t update this article in the near future)! Last edited: Nov 2, 2017 @ 6:28 pm Added HDRI Haven link as another free HDRI resources. So lately (truth be told, since August 2015) I’ve been struggling with the lack of RAM for my current project at work which are the root of frequent render crashing and the reduced productivity of not being able to multitask as there is insufficient RAM when rendering using Vray in Maya. For my current project as of this writing, we are encouraged to use Vray 3.10 (the latest version) while most of my project working files are using Vray 3.00. I can safely confirm that there is no issue when exporting a Vray 3.10 .vrscene and rendering using Vray 3.00 from my test. Although it is safer to stick to the same version that you use when exporting your vrscene. WARNING: Make sure all your materials and light in the scene are Vray compatible! That means Vray Materials and Vray Lights and no custom procedural textures, standard Maya shader (Lambert and friends) and Maya lights. 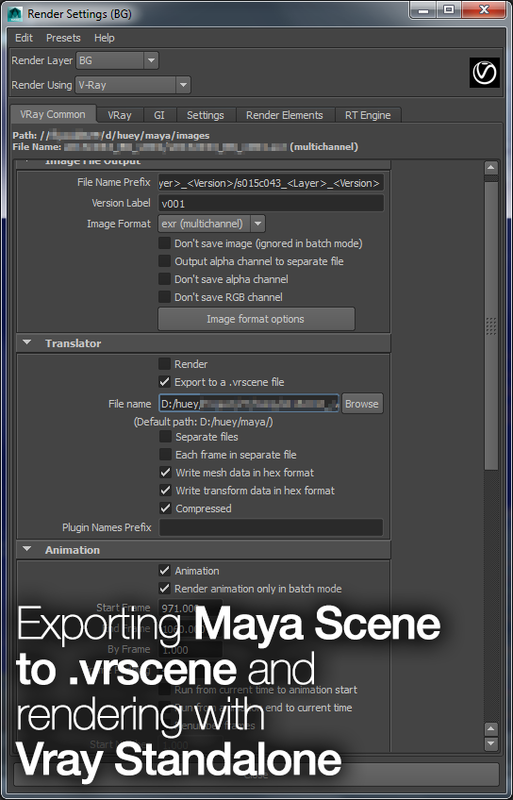 Standard Maya Camera are fine.